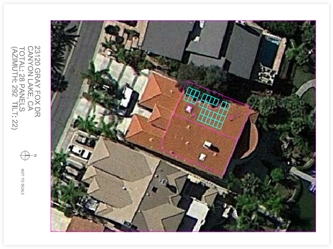 Green Power has created an online tool that uses Google maps to find the latitude and longitude of a particular homeowner’s house. The software can then examine the available roof space and generate a mockup solar energy plan. Using d ata about sunlight in that particular region – the software can calculate how much power can be generated by installing a solar system. Then using data from the homeowners electric bills, can calculate the best case scenario along with the “payback” time. 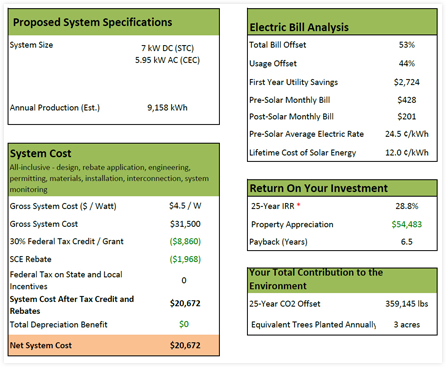 The software also take into account both federal and state tax rebate incentives for solar power and offers buyers choices about buying or leasing a solar system.. The goal is educating and helping home owners learn about energy use and alternatives such as LED lights, electronic thermostats, and energy efficient appliances. 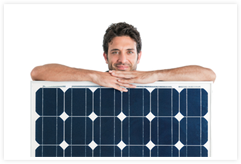 Helping homeowners realize that solar power is not all that expensive and depending on usage – the payback time can be as little as 2-3 years. This online tool is the first step to opening the door for their sales team. 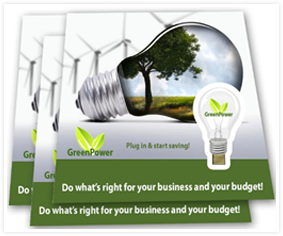 Once a potential customer is perked by the savings and costs of a solar system – Green Powers mobile sales team can come out and do an onsite evaluation and answer any questions homeowners may have. Adam’s challenge is how to get homeowners to find their website and this great online too. In the past they created marketing handouts and would work with realtors, home builders, and home improvement stores in an effort to tell homeowners of their online tool. They printed and handed out tens of thousands of flyers – but traffic to their site was never that great.Working with several of the power companies in the Southwest – Adam had an opportunity to include a flyer inside every electric bill. Thankfully Adam met iCue! Using iCue’s paper USB version – Adam was able to create an eye catching flyer that had a tear out USB. Homeowners would just tear out the USB and plug it into their computer. 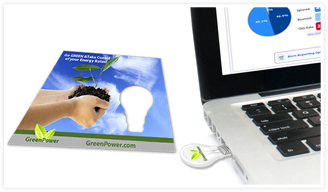 The registration page offered Green Power a chance to collect all kinds of user data and built a giant database of potential customers. Then the iCue would direct users to their online tool.